Washington Electric is an electrical contractor and authorized dealer of Generac and Kohler generators in Black Diamond, WA. We are a family owned and managed generator repair company that servicesw home owners, businesses and contractors for all of their generator needs since our inception in 2010. 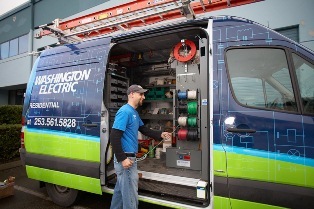 Washington Electric is licensed, bonded and insured and adheres strictly to the current NEC, state and local electrical codes. Under the dedicated leadership of our experienced owner, we are proud of our accomplishment of growing our business by over 300% and over 100 loyal customers since opening our doors. We offer generator repair and electrical services by trained, drug-free, non-smoking, clean and courteous power generator installers. Our dedicated customer service is available 24x7. Washington Electric is equally sensitive to its employees’ needs and safety. We are an equal opportunity employer and are proud of our zero-incident safety record. Having an electric generator is very essential to maintaining your peace of mind at times of long power outages. In Black Diamond, you can get a highly efficient and durable portable or automatic/standby home generator from Washington Electric. 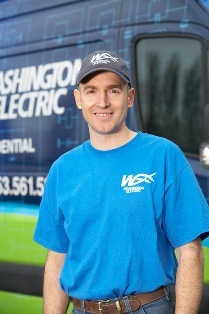 Washington Electric offers comprehensive and affordable home generator services. We always offer a free site assessment and evaluation of your generator needs. During this assessment we will discuss your needs and assist you with deciding what is the best generator product for your home or business. Once your decision is made, we will acquire all of the required permits on your behalf for installation and usage of your home generator. Your search for a good quality, high performing, fuel-efficient and durable generator ends with Washington Electric. Contact us today for all of your generator and electrical contractor service needs.